The latest gossip about Apple’s next product has just broken from an un expected source and fans are speculating whether there’s some truth to it or not. Shanzai.com is a Chinese site that’s claiming that Apple is building a 7 Inch device which could be a smaller iPad or a bigger iPod Touch. It’s not confirmed which one it actually is. The site claims that the news is authentic and there is indeed a 7 inch tablet in the final stages of production. There are 5 plus different designs to prevent people from knowing the actual one before launch but the final design is rumoured to bear more resemblance to the iPhone 4 rather than the original iPad design. Now that the holiday season is just around the corner, companies are getting ready to give final touches to their new products to make them available for consumers getting ready to hit markets for their gift shopping. Considering the success that Apple saw with the iPad and the iPhone 4, it won’t be a surprise at all if they decide to come up with a device that has the best features of both, or including the iPod Touch, of all three. The one complaint that critics cited the most about the iPad was that it didn’t make phone calls. It was a valid criticism and with news of a bunch of tablets releasing soon from a number of manufacturers with phone facilities, Apple may be getting ready to rectify the situation and build a device that has all features that a consumer can think of. If that is what Apple is aiming for, we can expect the device to feature FaceTime, phone calls and music playing options like the iPod Touch. The iPad was recently mocked in a Kindle ad for its poor screen display in direct sunlight and the new device may just solve that problem too, in fact that’s what it should do. There isn’t much time left for the year to end and whatever Apple is cooking secretively, will come out in the open very soon. 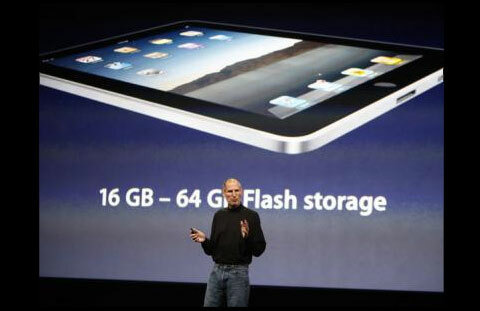 Will you buy another tablet from Apple if it had all the best features of Apple’s popular iOS devices?